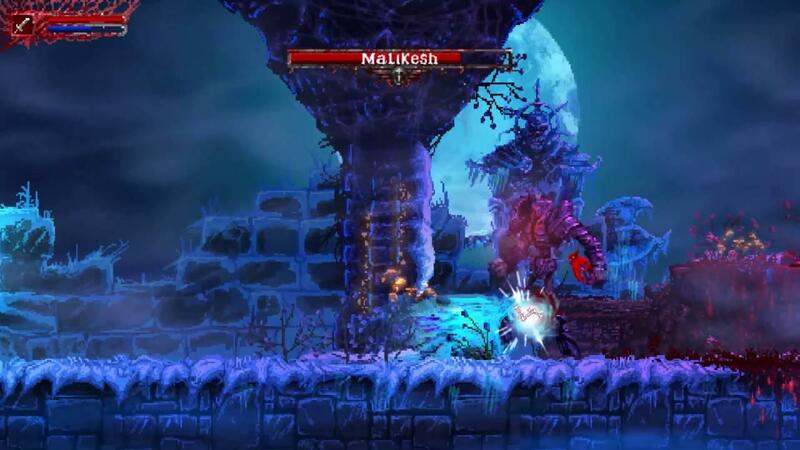 Slain is one of those games that got released with many issues, thankfully the developers listened and created Slain: Back from Hell which is a revamped version. It's now also available for Linux. Quote Sorry for the wait Linux users, and thanks for your patience! Due to lack of resources, it's been hard to test this version to the extent that I would like, and I'm unsure of how well it will work with different control pads. Please let us know any problems you experience in the Bugs / Glitches thread on the discussion board. Yeah, the update popped up over the weekend and I spent a large portion of the weekend playing it. The input lag is gone, now, and there are a few more attacks at your disposal. I really like it now that it's playable. I am so glad that I can play it now , it has been a long time ago since I back it on kickstarter. That @#%$@#%@#%Mother was a hell of a fight!!! Because I read this news on GoL yesterday, I purchased the game yesterday evening!! Funny, you can see the shift in reviews from "Mixed" to "Very Positive." I'm quite excited. Just Finished The Game ... Was soooooooooo much fun!! It's really good to see a developer continue to work on something and fix the problems presented by the community. Just got it on GOG. Looks good so far. I have to say the Unity engine has made some great improvements, the game runs very well on my laptop with an N2840 CPU on Linux. Great game, right up my ally. I love metal and games with a lot of gore. I'm not a big fan of the pixelated graphics but the other qualities of the game won me over. Two thumbs up!